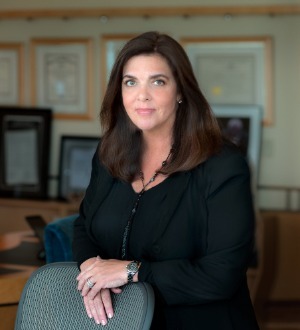 A veteran of the courtroom, Jodi Westbrook Flowers seeks to protect the health, safety and rights of consumers, families, investors, workers, and victims of crime and terrorism. Jodi has litigated a wide range of cases involving tobacco, asbestos, lead pigment, aviation disasters, consumer fraud, cybersecurity and product defects, as well as terrorist financing and human rights violations. In the vehicle defect multidistrict litigation, In re General Motors LLC Ignition Switch Litigation, Jodi works on cases related to economic loss due to faulty ignition switches installed in more than 14 million recalled GM vehicles. Previously, she worked to demonstrate the necessary minimum contacts within the U.S. for the exercise of personal jurisdiction over Bridgestone Corporation in the class action for damages allegedly caused by vehicle and tire defects, In re Bridgestone/Firestone, Inc., ATX, ATX II and Wilderness Tire Products Liability Litigation, Case No. 00-MDL-1373-SEB (S.D.Ind.). She also led a team at Motley Rice in the Volkswagen Diesel Emissions Fraud class action litigation, working on behalf of defrauded consumers in the $15 billion settlement deal for 2.0-liter vehicles. The settlement was the largest auto-related consumer class action in U.S. history, and among the fastest reached of its kind. Jodi represents clients who have raised similar allegations against Fiat Chrysler Automobiles, claiming the automaker installed emissions cheating software in thousands of 3.0-liter diesel vehicles, in In re Chrysler-Dodge-Jeep EcoDiesel Marketing, Sales Practice and Products Liability Litigation. Jodi serves as co-liaison counsel and represents victims in the 21st Century Oncology data breach multidistrict litigation. She also represents consumers and businesses impacted by security flaws believed to affect virtually all Intel Corp., computer processors. Jodi handles a variety of cases regarding the state-sponsorship of international terrorism, as well as human rights litigation involving violations of international law and human rights abuses. Jodi now leads the legal team founded by Ron Motley that brought the groundbreaking litigation against the financiers and material supporters of al Qaeda. Representing thousands of family members and survivors of Sept. 11, 2001, in a pioneering civil action to hold al Qaeda’s sponsors accountable and cut off the terror support pipeline, she serves on the Plaintiffs’ Executive Committee for the In re Terrorist Attacks on September 11, 2001 litigation consolidated by the Multidistrict Litigation Panel. She aided 9/11 victims and families in their years-long push to pass the Justice Against Sponsors of Terrorism Act, which became law in 2016. Jodi is currently involved in processing claims for the new Victims’ Compensation Fund for first responders, area residents, and anyone whose health may have been affected by exposure to environmental toxins released in the terrorist attacks. She was also an integral member of the Motley Rice aviation security litigation team seeking accountability and change in aviation security following the 9/11 attacks. In addition, Jodi also represents international terror victims who have filed claims through the U.S. Victims of State Sponsored Terrorism Fund. Jodi also played a key role in Linde et al. v. Arab Bank PLC, filed by victims of terrorist bombings in Israel against Arab Bank for allegedly financing Hamas and other Israeli terrorist organizations. This case marked the first time that a financial institution has been brought to trial under the Anti-Terrorism Act. She served as the lead negotiator in the last hold-out of the individual cases against Libya for the Lockerbie bombing of Pan Am Flight 103, and continues to seek justice for victims of Libyan sponsored terrorism during Qadhafi’s reign. Jodi also authored an amicus brief, supporting section 1502 of the Dodd-Frank Act, regarding the trade regulation of conflict minerals in the Democratic Republic of the Congo. She was also an integral member of a team that sought recourse for young victims of human trafficking and child enslavement for use as camel jockeys, and filed a federal civil complaint against several leaders in the United Arab Emirates for their alleged role. Jodi has worked on environmental contamination cases in the Virgin Islands involving leaking gas tanks, and she represented clients in advancing their Deepwater Horizon oil spill claims through the programs established by the two settlements reached with BP. Jodi has served on numerous MDL Executive Committees and subcommittees, and holds several leadership positions within the firm. Jodi began her career applying restitution and fraud theories to the litigation against the tobacco industry which resulted in the historic Master Settlement Agreement between the state attorneys general and the tobacco industry. She developed expert and whistleblower testimony and synthesized millions of pages of documents for trial. She prepared the false-marketing and child targeting case against the tobacco industry which resulted in restrictions on cartoon ads and the retirement of Joe Camel. Jodi has been interviewed by various media outlets, including U.S. and foreign television, radio and print media. She provides pro bono work on a variety of global, national and community issues and helped establish the firm’s Charitable Contributions Committee. She also served as a member of the American Bar Association’s Center for Human Rights Advisory Council from 2014 to 2016.